This week’s Featured Goal Digger is Janelle Brunton-Rennie! A hard-working, passionate Goal Digging babe, who does an incredible job running her very own PR company, Media Jam. Janelle and Media Jam supporting and promoting natural, ethical and sustainable businesses and products. I had been following Janelle and Media Jam for awhile after noticing our past Featured Goal Digger, Makaia Carr sharing and promoting a number of natural products Media Jam represent on social media. But this Goal Digger really caught my eye last month when she posted an emotion filled post on Facebook celebrating Media Jam’s 5th Birthday. After reading about Janelle’s determination, dedication, motivation and commitment to her business I knew I had to feature her! One of my favourite Featured Goal Digger’s to date, Janelle’s answers are raw, inspirational and simply brilliant! Dig in! 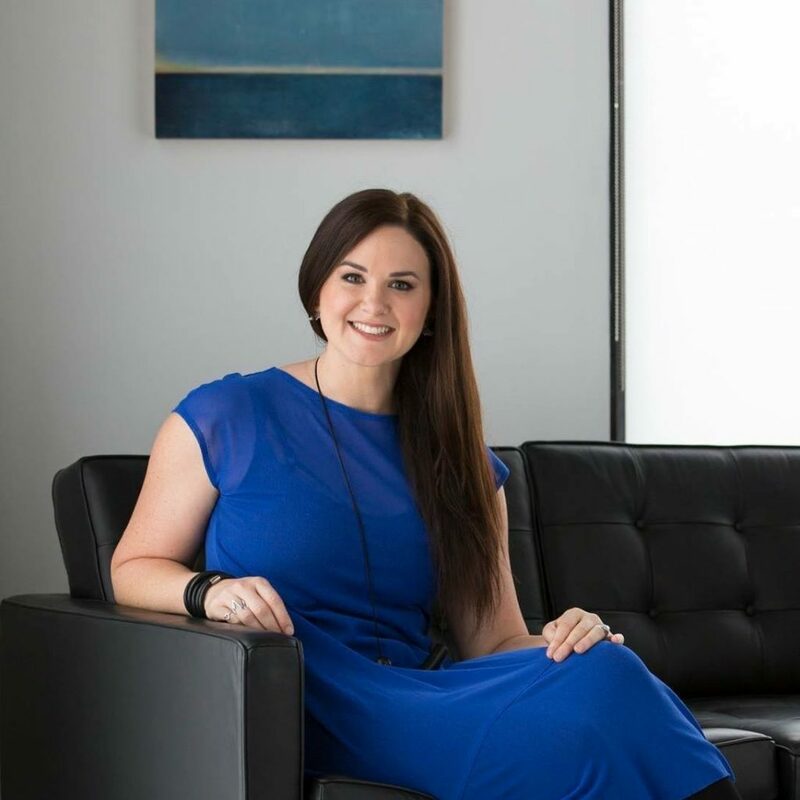 My name is Janelle Brunton-Rennie and I am the Founder and Director of Media Jam – an ethically motivated PR company based in Auckland, New Zealand. I’m a passionate advocate of natural, organic, cruelty free beauty brands, ethically produced, NZ made or sustainability motivated fashion brands, and all things eco-friendly and wellbeing driven. 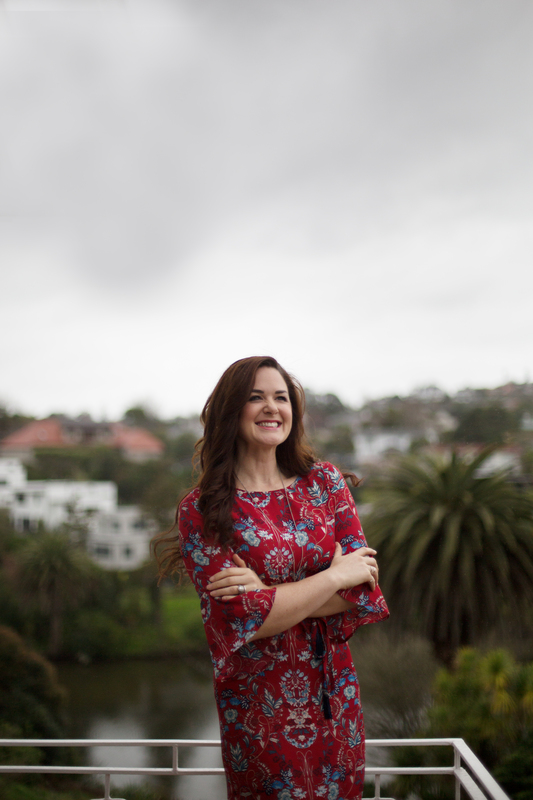 I’m originally from North Canterbury and was brought up on a farm, and moved to Auckland 10 years ago to take on my first big marketing role in the beauty industry. I spent my twenties running marathons, doing triathlons and competing in body building shows. Five years ago I founded Media Jam. Learnt to love and accept myself for who I am. Throughout my twenties I bet myself up a lot, physically and mentally. I was a super perfectionist who was hell bent on looking a certain way, and being a certain way. I spent years training super hard, instructing spin classes and beating my body up, but it wasn’t until I took on bodybuilding and trained and competed as a bodybuilder that I did the real damage to myself. After my 4th show, which was 2.5 years ago my body literally ‘blew up’. It couldn’t take anymore; I’d been hitting the override button for so long, and was too fixated on being lean rather than being healthy. I developed an autoimmune condition called Hashimotos which is where the body attacks its own thyroid and combined with a state of severe adrenal fatigue (I had run on a potent cocktail of cortisol, adrenalin and caffeine for far too long) I had no choice but to stop, and listen to what my body had been trying to tell me for so long. I had worked so hard over the last five years and had beaten myself up mentally, emotionally and physically that I made myself ill in the process. I then had to learn to make myself well again which has ultimately changed my life and the way I do business. I decided to take full responsibility for my own journey back to health. I have read countless numbers of books and studies on health, poor health and the contributing factors. I studied meditation, mindfulness, Buddhism and gratitude. I read about Chinese medicine, Ayurvedic medicine and the chakras, pressure points and the meridians. I practiced yoga, mindful walks and breathing techniques amongst numerous others things. It’s taken me more than two years to get myself well again, and to essentially rewire the way that I experience life. I no longer speak to myself poorly – my rule is that if you wouldn’t say it to your best friend than you certainly have no business speaking to yourself like that! I treat myself with kindness and respect and self-love, and honour my body instead of beating it up. I make sure now that I don’t say yes when I really want to say no, and I put self-care practices and my own happiness first. To be really honest with you, I didn’t really celebrate it as much as I should have, and truthfully, I did feel a little guilty about it. I’m so used to celebrating client achievements and milestones that my own achievements and milestones have usually been put on the ‘oh I’ll do that next year list’, and this year Media Jam’s 5th birthday fell right in the middle of four large international client media launch events. I did make sure that I wrote a truly heart felt social media post about it, thanking everyone that has been a part of Media Jam’s journey in any and every way and I have booked for my team and I to go out for a really lovely Friday lunch in a couple of weeks once the dust has settled from the media events. Plus I had another good cry – I don’t know why – pride, gratitude, relief, so many emotions – always happy tears though. 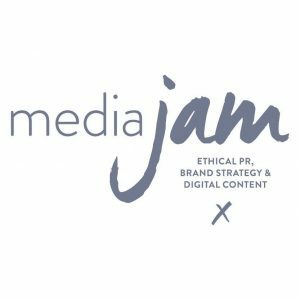 I was working for a terrific company managing the PR needs in NZ for Pandora Jewellery but I wanted more of challenge and I thought to myself, ‘you know, I could do this for five brands instead of just the one’ – so I started Media Jam and worked my rear end off ever since! I’m a huge advocate of conscious consumerism – that every purchase you make is a vote for the type of world you want to live in and the type of world you want your children to inherit. I believe that what we put onto our body is as important as what we put into our body and I want to make sure that I’m working towards helping people understand why this is so important. I believe we are caretakers of this earth and that being eco-conscious is a responsibility. I want Media Jam to be a part of the solution, not a part of the problem. I want to make sure I use my voice and influence to do only good. I’m passionate about using my vocation and skill set to align and share the messages of ethical brands, products and people and to amplify the messages of our clients, supporting sustainable and ethical business principles, helping good people achieve great things and ensuring we leave the world in a better place than when we entered it. That’s the most important thing – to do my very best to be the best human I can be, and to try and leave the world a better place because of that. When I thought that I was bullet proof! Balance and my lack of it was almost my undoing, I became unwell and overwhelmed. Create boundaries, eliminate toxic relationships and people from your life and make self-care your number one priority. You’re no good to your loved ones, or your clients and stakeholders (or the planet for that matter) if you’re not taking care of yourself. Starting a business is the single most terrifying thing I’ve ever done. No guarantees, no security, no certainty other than that in my skill set, my abilities and sheer grit, determination and drive. There are so many naysayers, so many people who encourage you to play it safe. When Media Jam turned two I stood in the shower and sobbed for a good 10 minutes out of sheer relief as I was reminded by so many along the way that 80% of businesses fail in the first two years, and I was so solidly determined this was not going to be me. I respect anyone who has ever had the courage to start their own business. I think people fantasise about working for themselves, and not having a boss but the truth is, the certainty of a salary, and actually being able to have four weeks holiday each year shouldn’t be underestimated. Starting, growing and running a business is the single riskiest, hardest, yet rewarding thing I’ve ever done. In the last five years I’ve had one weeks true holiday, one week where I unplugged and wasn’t available. I don’t have one boss, I currently have 16, 16 amazing, changing our world one day at a time clients, and the ownership and passion that I feel for each of these clients and their vision is immense. Live in another country for a year – current leading contenders are Bali, or the South of France. “The world meets nobody halfway, when you want something, you gotta take it” – Sylvester Stallone, Over the Top. I could also list about five terrific quotes from the Rocky movies here, but I’d imagine that the quote above from obscure 80’s arm wrestling movie ‘Over The Top’ has potentially done enough damage already hahahaha! Foo Fighters – The Pretender. Honestly I must have listened to this track more than a thousand times… I run to it, I’ve instructed hundreds of spin classes using it. If I am ever in need of an energy boost, or have to pick the pace up out on a run – this is my go to track, never fails. Dave Grohl – legend. Oprah’s Super Soul Sunday series – always terrific, always uplifting and inspiring. Meditate. Self-doubt, fear and insecurity are all caused by not living in the present and not being truly connected to the now. Any self-doubts I used to have were caused by a lack of authenticity, by trying to be something or someone I wasn’t, trying to fit in. Meditation has quite simply changed my life. It doesn’t have to be the big scary thing that it sounds like – quite simply I sit with myself. I sit and breathe deeply. I connect with my gut. I tune in and check in to how I’m feeling, and why I might be feeling like that, and without judgement – just dismiss anything negative, and remind myself that I truly am doing the very best I can, to be the very best person I can each and every day – and then there is nothing but peace to be found. Peace, and knowing. And from peace and knowing there simply is no fear, insecurity or doubt. Phone my husband. Seriously, I am one very fortunate girl. I married the most wonderful human. My husband Kurt is gorgeous, intelligent, gentle and kind and has the happiest disposition I’ve ever come across. I’m so blessed. I practice yoga, mindfulness and meditation as often as I can. I speak to my body with kindness, gentleness and immense gratitude for being able bodied and having good health. Make friends with yourself and your body. Exercise should give you energy not take it. I used to exercise myself to exhaustion as it was the only way I knew how to cope with stress. Find better ways to cope with your stress such as meditation, mindful walks, yoga, painting, whatever re-centres you and use exercise as a tool for giving you energy and endorphins – rather than depleting it. I try and read as much as possible. Hubby and I switch the TV off often and spend our nights talking about ideas, reading books and sharing interesting articles online aloud to each other. I practice yoga, mindfulness and meditation as often as I can. I speak to myself with love and kindness. I practice loving kindness not only towards myself, but towards others. I read as often as possible. I don’t say yes when I really want to say no anymore. I surround myself with good people. Energy doesn’t lie. I believe that we truly know how we feel about somebody when we see who is calling us on our cellphones. If you look at the screen and think ‘uh, what do they want’? Chances are you should be reducing the amount of time and energy you spend with that person. I understand that ‘as I think, so I become’. The brain is a muscle, and like other muscles we can train it – and I work every day toward ensuring that I’m training my mind to work for me, not against me. I used to believe that my mind controlled me, now I believe that I control my mind. Find a vision and goal that is about something greater than you and your ego. I am driven by a greater sense of purpose, a goal that is far greater than myself, a goal to be a part of a movement, a leader in and a voice for a society that’s working together toward a better planet and ultimately a better place for humanity. Find your vision and goal that is about something greater than you – and watch the magic unfold.